The Torah community has much reason to take comfort in Monday’s decision by the United States Supreme Court in Masterpiece Cakeshop, Ltd. v. Colorado Civil Rights Commission. 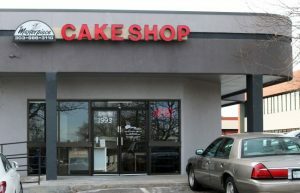 If the bakery had lost, such a decision could have augured a theologically perilous turn leding towards abrogating America’s Constitutional guarantees historically protecting religious freedoms. If the Court had held that religious people can be coerced into writing words they do not believe and that frontally contradict their Biblical faith and can be compelled by Government edict to create artwork celebrating events that are repugnant to their deepest core religious values in their relationships with G-d, then a tidal wave of pinpointed religious repression could have ensued in years to come. Synagogues and churches next could have faced closure for refusing to host theologically forbiddden marriages. Rabbis, pastors, priests could next be in line facing arrests and severely bankrupting monetary fines, even imprisonment on criminal charges that could end their careers in the public arena. That was what potentially was at stake: At what point does the very first freedom in the Bill of Rights, freedom of religion — the freedom that America’s Founding Fathers placed before even freedom of speech, of assembly, of press, of the right to bear arms, of protection from search and seizure without warrant, of protection from self-incrimination and guaranteeing the right to confront one’s accuser, the right to a jury trial, protection from cruel and unusual punishment — come to an end? Religious freedom did not exactly win in Masterpiece, but it survived the latest assault to live another day. By a 7-2 opinion, aggregated through various concurrences joining to support a majority opinion authored by Justice Kennedy, the divided Court reached an excellent result, but it did so by adopting a tepid and diluted focus and reasoning that leaves the real and deeper issues aside for yet another case that surely will arrive on another day. The Court could have ruled in clear and straightforward terms that, even as homosexual people may marry consistent with Obergefell v. Hodges, so it is that religious adherents whose theologies truly deem such marriages to be a nullity forbidden in the eyes of G-d are free to refrain from aiding or otherwise particpating in fostering or enhancing such unions. That kind of ruling would have given clear protection to bakers, florists, photographers, houses of faith, and clergy, among others. But that was not the Masterpiece opinion. Rather, this Masterpiece, like the Mona Lisa, smiled only mysteriously. What may well have happened behind the Court’s closed doors is that the conservative majority, having won over Justice Kennedy to this one — because he had said in his Obergefell opinion that the right to homosexual marriage must not become a ground for limtiig religious believers’ rights to believe and act otherwise — decided that they profoundly wanted to get at least some buy-in from at last some of the Liberal Democrats on the Court, no matter what the price, in order to present a broader consensus vote to the public. Chief Justice Roberts previously has demonstrated that he cares very much that the public respect the Court as an impartial arbiter of justice that views issues of law objectively and without political bias. Had the decision in Masterpiece been more clear and straightforward, but also tightly divided 5-4, there would have been vast media commentary portraying the decision as the direct result of President Donald Trump having placed new Justice Neil Gorsuch on the bench — and ruing how different it all would have been if the Republicans had not instead balked at approving Obama’s last pick, Merrick Garland. Thus, it seems, to avoid that kind of political fall-out and feeding frenzy, to convert the Masterpiece decision from one of conservatives and religionists versus liberals and secularists, and to cast it instead as a broad-based 7-2 decision, the justices presumably engaged in backroom horse-trading reminsicent of the first Bush v. Gore decision, Bush v. Palm Beach County Canvassing Board, where the politically divided Court nevertheless voted unanimously. With the legitimacy of an American Presidential election on the line, amid half-popped chads, it seemed that the liberal Democrat justices and their conservative Republican colleagues had reached a deeper consensus that, for the public weal, the judgment needed to be unanimous. Although the Masterpiece majority could not win over the more extreme-liberal justices, Sonia Sotomayor and Ruth Ginsburg — the latter now at an age and time when she no longer even bothers to disguise her outright left-oriented political weltanschauung nor to camouflage the depth of her contempt and hatred for Presidretn Trump — the five conservatives did win Justices Stephen Breyer and Elana Kagan to their majority by crafting an opinion that skirted the real issues on the table — harmonizing the conflicting rights of homosexuals to marry and of religious people to follow the dictates of their G-d and His law — and instead focused solely on one remarkably crude and bigoted “Civil Rights Commission” in Colorado that overtly and contemptuously denigrated religious beliefs on the matter as being a mere pretext by bigots to discriminate. That Commission had promoted a clear double standard, allowing other bakers to refuse to bake cakes when customers sought messages hostile to homosexual marriage; yet that Commission was unyelding in denying Masterpiece Cake Shop its right to refuse to bake a wedding cake celebrating homosexual marriage. Moreover, some of the Commission’s transcribed text revealed outright bias and animus against religion. So Justices Gorsuch and Alito — and, compromising their weaker and more practical beliefs to a lesser degree, Chief Justice Roberts and Justice Kennedy — steered away from a ringing declaration of principles that would protect free exercise of religion and free expression in the face of pressure to endorse homosexual marriage. Instead, they agreed to direct their focus only at the patently biased way the Colorado process and Colorado Commission worked in this case. Not every such future case will be marked by such glaringly bigoted underlying bias — and, even more so, the anti-religious bigots on radical “Civil Rights Commissions” now have their Supreme Vourt-authored manual on how to operate prejudicially against religionists without getting caught. In his separate opinion, concurring in the result but not with the underlying analysis, Justice Thomas (with Justice Gorsuch joining) reflects more clearly where the opinion would have gone — the full nine yards — if the Court’s conservatives had not decided that, for their political purpose of endowing the day’s decision with maximal 7-2 mainstream acceptability, they needed somehow to get two Liberal Democrats on board with them. There also may have been a second underlying thought, expressed or just contemplated, impelling the four conservaicve justices to go the vanilla path. Unspoken, perhaps not even articulated by one to another, the four conservative justices — Thomas, Alito, Gorsuch, and Roberts — may also have been thinking that Justice Kennedy surely will retire soon (in weeks, a year, or two maximum) and that Justice Ginsburg, for all her determination to oulast President Trump in Washington, probably will not do so. In such a scenario, the time is nigh when the Court will be at least 5-4 solidly conservative, with a more solid if imperfect conservative like Chief Justice Roberts replacing Justice Kennedy as the least dependable conservative and thus as the swing vote, and soon thereafter even could be a 6-3 conservative Court. In short order, then — a year or two or three — the Supreme Court then can and will accept the inevitable next case of this sort (the baker, the photographer, the florist fined into bankruptcy by a radical-left “Human Rights Commission” in a deep blue state for refusing to go against their Biblical faith), and that newly constituted 5-4 or 6-3 more-conservative Court then will be able to set aside today’s Masterpiece Cakeshop opinion, not by defying the Court’s defining jurisprudential rule of stare decisis overtly and overruling it, but instead by just talking around it, paying lip service to it, and then adopting much of Justice Thomas’s concurrence in Masterpiece as the Court’s majority opinion in that next case. At that point, the bare-majority justices who punted today will give clear direction going forward for principled backing for religious freedom and protecting free expression and speech from intimidation by others who demand obeisance to the LGBTQ+ agenda. Why the fear-mongering? This case had to do with a business providing a purely non-religious service. The law for actual religious institutions/functionaries is totally different. Interesting you should mention this, as I happened to run into a friend of mine who works with one of the large Kashrus organizations, and he mentioned this case in particular. He said it is extremely relevant to them, as they are with increasing frequency called upon to certify the food at one of these “wedding receptions” is Kosher. And yes, they could be sued, never mind that Kashrus is a purely religious service. Similarly, another one of the cases in the system concerns a pair of Christian calligraphers. The connection to a Sofer and a Kesubah needs no elaboration. Can you explain in what way refusing to provide a cake to a gay couple getting married differs from refusing to provide a cake to an interracial couple getting married? Miscegenation laws were also based on religious beliefs, and were rooted in the bible. For whatever reason, a brief Google search provides no indication that an interracial couple has ever sued — even the justice of the peace in Louisiana who refused to perform interracial ceremonies simply resigned. No one decided to make a federal case out of a baker who didn’t want to get involved. Nor should they have. If a private business owner doesn’t want to do the floral arrangements for a Jewish wedding, I don’t want that florist to do my child’s wedding. And if he’s willing to make arrangements for births or Bar Mitzvah’s, I’m not going to falsely claim it’s anti-Semitism. It’s kind of obvious at that point that it has to do with his religion, not bigotry — precisely as is the case with Jack Phillips. And even were this florist to tell me he won’t serve Jews, I won’t sue him, I’m not going to try to drive him out of business, I’m not going to try to send some sort of message about anti-Semitism through the federal court system. He’s not a cafe or hotel keeping Jews out, he’s just a guy with issues. SJP chapters are a much bigger problem. So I’m simply going to hire a different florist. First because he would probably do a lousy job if forced to do it, and second because my only agenda is tolerance, even tolerance for people currently encumbered by bigotry. What is going on over here is just the opposite: non-bigoted individuals being driven out of business by bigots who detest what the Torah has to say about marriage, and hate those who avoid “marriages” that violate the Torah’s definition. This is clearly true, because few things are more openly hateful than a false accusation of hate. The majority of 7-2 was really 5-4 and the key was the openly hostile comments of the Colorado commission on human rights to the free exerise of religion claim. To sweep away interference with religion, we’ll need some new personnel in the Supreme Court and lower courts. But much of the problem with the immorality lobby stems from the increasing, sometimes “mandatory” brainwashing of Americans via schools and media.